Mozilla has confirmed that it will launch an app store later this year offering free and paid-for apps that you can use on any browser, not just Firefox, as well as any operating system or device. Once you've installed an app, it will be stored on a dashboard in the cloud. Tristan Nitot, President of Mozilla Europe, explained that the key idea behind the web app store is to make it 'open', so that apps wouldn't be restricted to specific devices. "When you think about the iOS [Apple] market, you have to buy devices in order to buy applications," he explained. "That's not the way we see things. We want to get rid of this bad side of app stores by making apps available to everyone." Nitot wouldn't give us a definite release date, but said: "We can't launch an app store if we don't have any apps. When we have enough good-quality apps to show off, we'll open the store to beta and release it fully, later in the year." The app store is a sign that Mozilla may be looking to expand its services beyond Firefox. The browser, which was once Internet Explorer's biggest rival, was overtaken in popularity by Chrome in late 2011. Just over 25 per cent of the world's internet users now browse the web using Firefox, down from 32 per cent in 2009. In the same period, Chrome rose from 4.6 per cent to just over 27. However, Nitot dismissed this as a concern: "Comparing Mozilla with Chrome means thinking about Mozilla as a for-profit organization, competing for market share. That's not what we're about." Nitot didn't comment further on Chrome, but did criticize a recent security report, commissioned by Google, in which Chrome came top. “I’ve certainly seen better reports," he said. "There are many different ways to make a browser secure, some browsers are better at some tasks and not others. This report really focused on something [sandboxing] Firefox doesn't do." One area that Mozilla will focus heavily on in 2012 is mobile products, in order to improve how Firefox is used on smartphones and tablet PCs. In late December, it launched the latest Firefox for Android app (http://bit.ly/firefoxapp283), offering faster page loading times, improved synchronization with the Desktop version of the browser and a new interface for tablet PCs. Nitot said: "Since our goal is to be on the side of users, and more users will use smartphones in 2012, we can't just stay on PC." 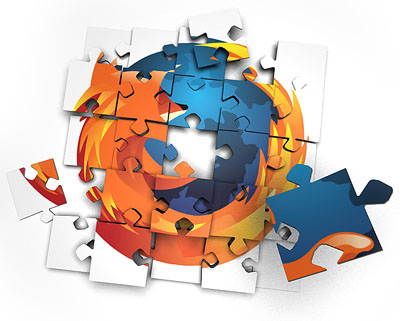 Mozilla also released Firefox 9 in December, which Mozilla claims is 30 per cent faster than the previous version. Nitot told us that Mozilla will continue with its six-week Firefox release schedule, which means Firefox 10, should be out in early February. As a not-for-profit organization, Mozilla relies on donations (http://bit.ly/do-nate283) and Investments to keep going. By far the biggest Investment comes from Google, which pays Mozilla to promote its search engine as the default on Firefox browser. In 2010, 84 per cent of Mozilla's revenue came from Google. Reports at the end of November suggested Google might end its investment, leading to some experts questioning whether Firefox had a future. However, in late December Google agreed to extend its investment for another three years. Google is said to be paying $300m a year to be the default search engine on Firefox, which is three times what it paid in 2011. Even if Google did pull the plug, Firefox is safe, said Tristan Nitot. He told us: "If, for some reason, we didn't have a contract with a search engine like Google, we would have time to find another source of revenue." He also added that Mozilla receives money from other online companies, Including Bing, Amazon and eBay.